Wherever you go around the globe, you’ll find steel. It’s an essential material, found in everything from the cars we drive to tin cans. The steel industry is seen as a global economic indicator, going hand in hand with economic development. Fueled in part by soaring steel demand in the automobile and construction sectors, global demand for steel continues to grow in spite of the subdued economy. 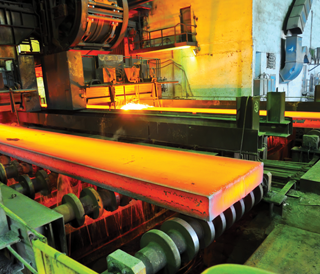 Cost-effective, highly efficient steel making technologies have enabled steel producers to maintain profit margins as the cost of materials rise. And as the global urban population increases, so will the need for steel — for skyscrapers, automobiles and infrastructure. Emerging economies will continue to drive demand, which is projected to remain strong for years to come. For more than 60 years, we have been supplying the global steel industry with advanced measurement and control products. Our engineers have expertise in the requirements of the steel production processes — and a strong track record of innovation. 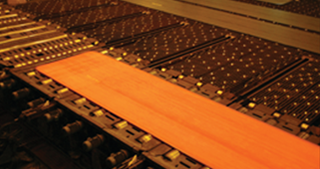 Our weight and control products help maintain the proper specifications as the steel is rolled out, while our optical sensors monitor its dimensions and thickness. Every product has been designed to offer the best combination of robustness, reliability, accuracy and ease of use — in the extreme conditions of a steel mill. And all are backed by dedicated customer support from our service team, including field service. By safeguarding the quality of steel as it’s produced, we’re helping mills run more efficiently and cost-effectively — which helps keep our customers in the steel industry profitable all over the world.